The Melbourne Art Tour took place this year during the July school holidays. Sixteen very keen and dedicated Corpus Arts students and two Corpus staff, Mr Bly and I, were very excited to undertake this unique artistic experience in the Cultural Capitol of Australia. The major activity the students undertook was a range of practical workshops at the Victoria College of the Arts. The nature of these workshops required creative thinking and innovative ways to make artworks. It was challenging to draw and produce work over a lot of consecutive hours at the VCA; all found the determination and persisted with the challenge producing unique and creative works. Some of these works will be on display at our upcoming Art Exposition. The tour group also attended five different major exhibitions at the National Gallery of Victoria over two days, learning a great deal about a wide range of art movements and art works. The highlight would have to be the two hundred works from the Museum of Modern Art, New York, otherwise known as MoMA. The students then spent half a day at the Heide Museum of Modern Art where they went on a tour of the sculpture park and then viewed the original house where Australian Modernism was born in an art movement known as the Angry Penguins. They saw some great Australian art works in a unique setting and gained a deeper understanding of Australian art movements. This was topped off with a tour at the RMIT Gallery with the curator of ‘My Monster’, an exhibition celebrating the novel by Mary Shelly’s ‘Frankenstein’. This was a very haunting exhibition looking at the human-animal hybrid. 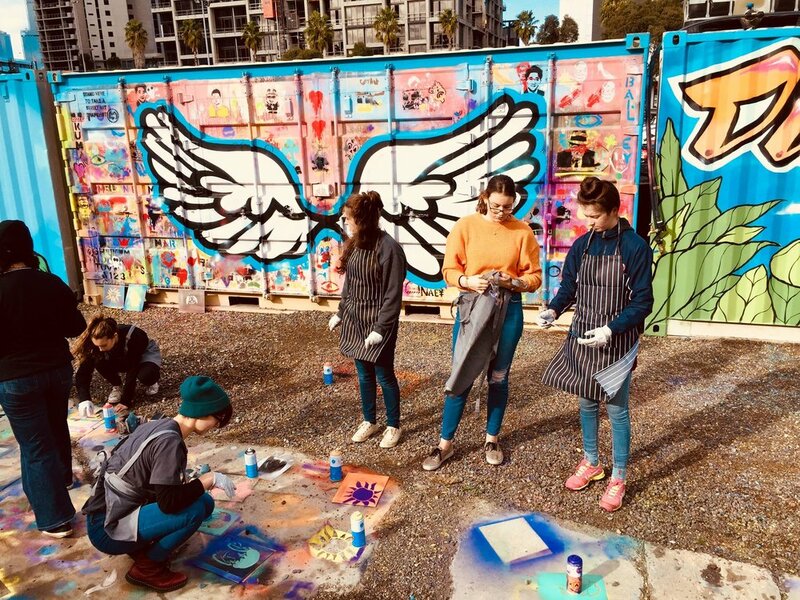 On the last day of the tour the students attended a practical graffiti workshop at Blender studios with Melbourne street artists. This was a lot of fun and the students really engaged with the process. 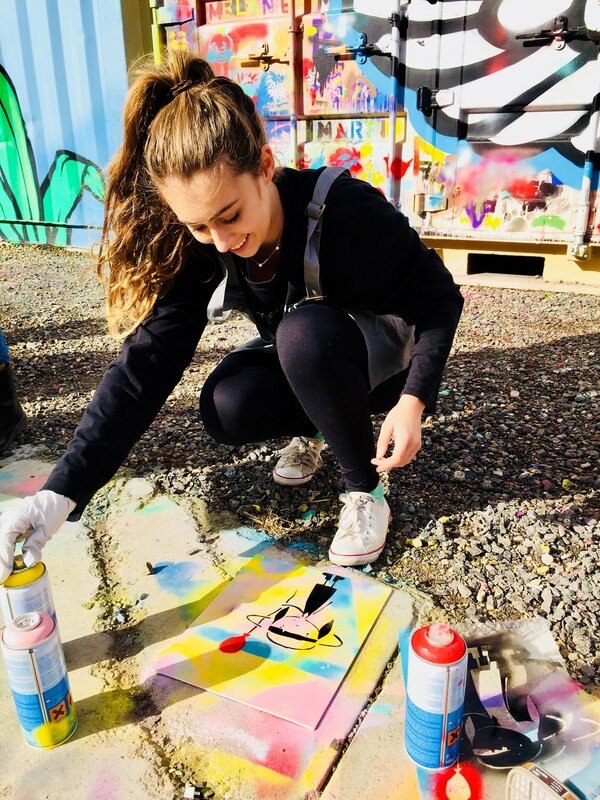 It gave them the confidence to then do a collaborative graffiti artwork in Hosier Lane, a legal graffiti space in the Melbourne CBD. This laneway is a famous bluestone lane that is a major part of street art culture and has made the Melbourne urban art scene known across the world. The students really enjoyed this activity, and it was a highlight of the tour (and they left their mark on Melbourne).